The peppermint patty – a dark chocolate enrobed peppermint candy – was first introduced nearly 75 years ago by the York Cone Company. 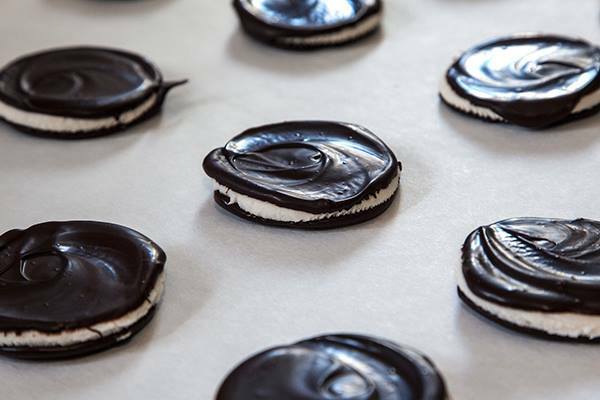 Back then (before synthetic peppermint oil was invented and patented), the York Peppermint Patty was known for its crisp texture and contrasting flavors: bitter dark chocolate and sugar-sweetened peppermint center. Since then, the confection has been acquired by many companies and is now made by Hershey who uses “sugar, corn syrup, semi-sweet chocolate (chocolate, sugar, cocoa, milk fat, cocoa butter, soy lecithin, PGPR, emulsifier, vanillin, artificial flavor, oil of peppermint” to make the York Peppermint Patty. Disappointed that sugar and corn syrup are the top two ingredients, and that PGPR (a thick yellowish liquid made from caster beans that reduces the viscosity of chocolate and used instead of the more expensive cocoa butter), imitation vanilla, and an unnamed emulsifier are used, I set off in search of a better peppermint patty and found one by Seely Mint, an Oregon-based company that has a 450 acre mint farm that produces the peppermint – (as illustrated below) used to make Seely Mint Patties – the best peppermint patty on the market. 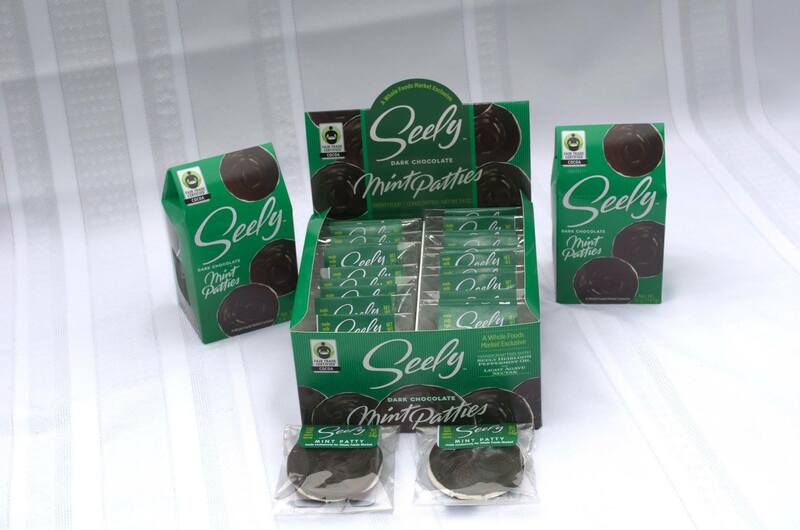 Seely Mint Patties are made with bittersweet chocolate (produced with four Fair Trade Certified products: unsweetened chocolate, sugar, cocoa process, vanilla, and soy lecithin), confectioner’s sugar (sugar, corn starch), organic light agave nectar, pasteurized egg white, and Seely’s pure peppermint oil made from the Black Heirloom Mitcham peppermint leaves. The mints are handcrafted and look like a large Oreo cookie but taste like rich, dark chocolate with a cool blast of smooth peppermint. Refreshing, delicious, and authentic – the way a peppermint patty should taste. 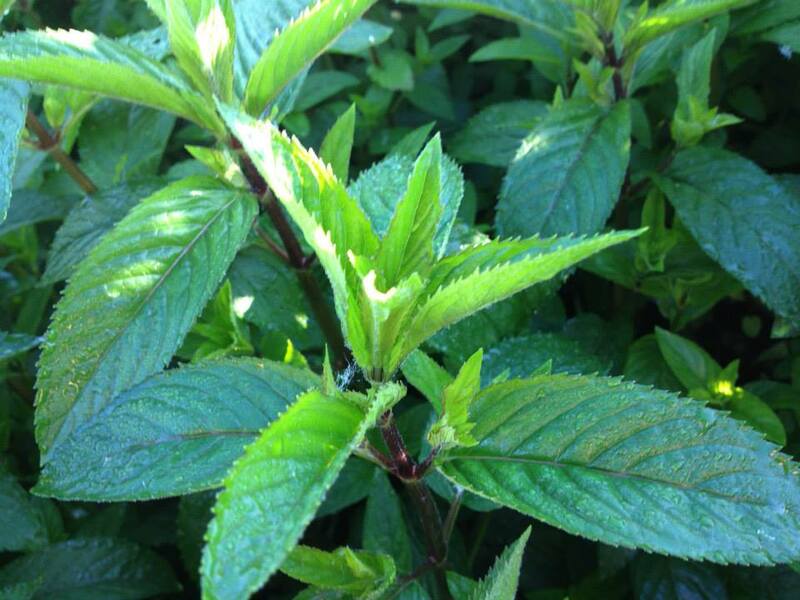 Seely Mint Patties can be purchased at Whole Foods Market nationwide (a 5 ounce box sells for $7.99) or on-line directly from Seely Mint (www.seelyfamilyfarm.com) where shipping is free for orders over $22. 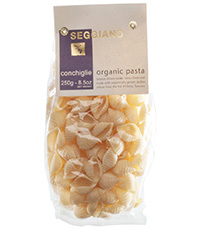 To read more about these special treats and other products, go to the company website.